Two new stories/August Progress Update! Plenty of news in this post! First, PRICE DROP!!1! 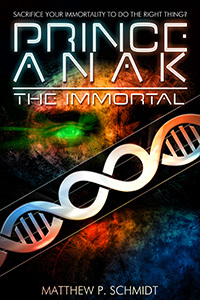 All of my short stories are now $0.99, and The API of the Gods is now $1.99. Enjoy! Now, you might notice that I said the above story would be free, and it’s not. What gives? Simply put: Amazon’s somewhat bizarre policy of forbidding people from putting up books for free directly. As it is, I stand by its quality enough to sell it. But if you’re still looking for a free, Sci Phi Journal has my A Fractal of Eight Tragedies in Fifteen Parts available for anyone to see. Check it out! Meanwhile, C&D itself is still on the long road to publication. More news soon. The City and the Dungeon is now under review by the copy editor. We’re not sure how long this will take, but I suspect I’ll have more news by the end of August. I hope. The World of Wishes, unfortunately, threw a literary shoe and had to be put down. :*( Meanwhile, I have started work on a novel tentatively called Argent while still working on tSSoL. MYSTERIES ABOUND. Meanwhile, the second edition of Prince Anak the Immortal is out. Sorta. It seems that releasing a second edition has baffled Amazon, to the point where it offers my book three times. I’ll be waiting a few weeks to see if it resolves itself, then pestering one or more e-commerce giants to see if I can fix things.